Temperatures will remain in the 90s throughout the weekend, with low chance of showers. Saturday started off quiet, with warm and mostly dry conditions. Temperatures will rise to 90s and there will be a slight chance of isolated showers. Beach goers should watch out for a moderate risk of rip currents and a high UV index. 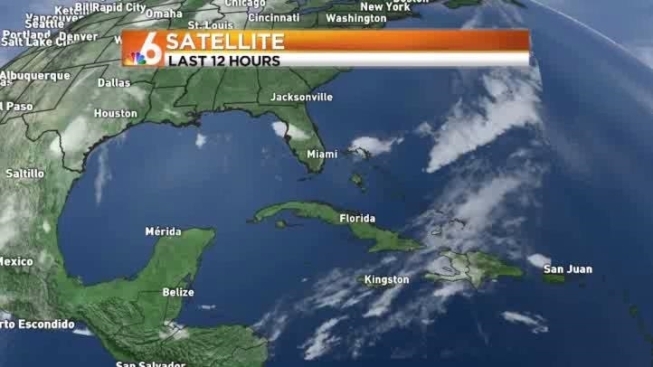 In the next couple of days, a tropical wave will move in from Haiti and the Dominican Republic and it may bring some showers. Temperatures will remain in the 90s throughout the week with a low chance of rain.